Climate change is upon us. With the rising trend of industrialisation, the rest of the world has become polluted. One way to help save further environmental disorder is using an energy-efficient industrial computer. Many techniques are being studied to creating an energy efficient computer. But, one must know everything about the computer system to understand the new techniques. Industrial computers require a power source. The system should be designed to operate using the best voltage possible to maximise energy efficiency. As much as possible, the lowest voltage is enough to run the circuit. Or, perchance raising the voltage is performed to complete a task much faster before going into a low-power rest mode. But, most of the time, the batteries put out power at a voltage level which makes the system work inefficiently. That is why batteries put out more voltage than the system needs. The only way to change the voltage at its best level is to use power converters. As the industrial computing marches forward, having an energy-efficient embedded system is crucial. This will not give you savings on operations and equipment maintenance; you can also help save the planet. One of the most effective ways is using responsive power converters. This new technique is developed to create inexpensive, low-powered embedded computer system. Then again, you must first learn to understand this new technique. Why Power Converters are Energy-Efficient? Many power converters are available out in the market. But, the most energy-efficient power converter is called the switch-mode control converters, which have two parts. One part is known as the “power stage” hardware. Its function is to control the capacity and flow of power. The other part is the “controller”. Its function is to allow the converter to respond to the changes in the embedded system’s need for power. It also changes the flow of energy from the power source or provides security against harsh temperatures and device failures. The controller can be a specifically designed circuit or a different processor which runs special control software. Energy-efficiency is the key to produce a reliable industrial computing system. Having a responsive power converter enables the entire system to go to sleep, switch to operation mode quickly and shut back down when not in use. Thus, the main role of the power converter is to balance the flow of the power accordingly. The advancement of this technique is also designed from its real-time systems and combined the power converter software into the embedded system processor. This new technique ensures that the other software in the processor of an industrial grade computer will not disturb the correct operation of the power converter. 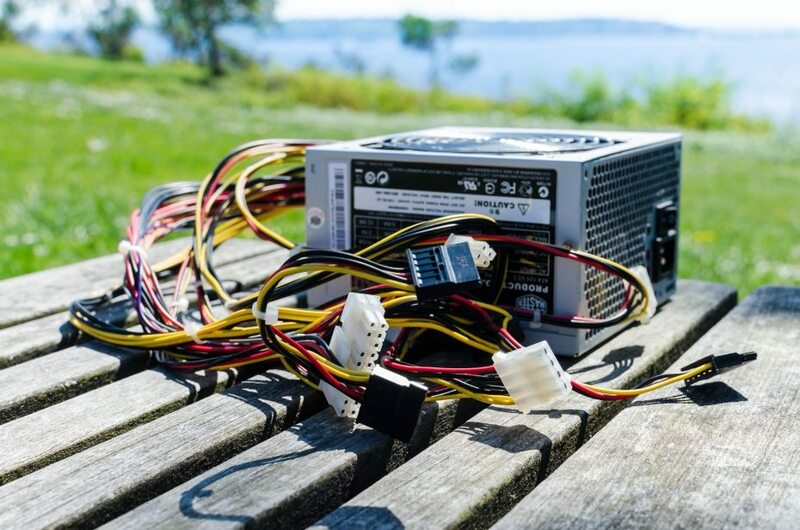 Instead, it eliminates the need for a different processor or controller circuit on the power converter itself which makes the system less costly, smaller, lighter and more flexible. Other than that, other types of power converters can either cost you more or least efficient. So, why not contact your computer expert now and get to know more about energy-efficient techniques for industrial PCs.